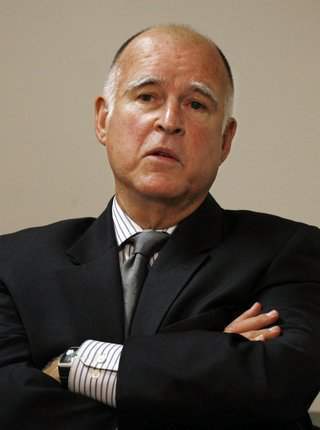 Jerry Brown has either raised or tried to raise taxes on just about everything imaginable. During his governorship, he raised the gas tax, doubled the car tax and proposed billion in new taxes. Jerry Brown has supported raising Collage tuitions every time the issue has come up. In 1978, he famously opposed Prop. 13, calling California’s landmark taxpayer protection law, “a fraud” and a “rip off.” He also refused to index state taxes during a time of high inflation, which resulted in a massive de-facto tax increase on Californians who were pushed into higher tax brackets. In Oakland, Brown raised taxes on everything from parking to phone bills. He imposed new taxes on garbage collection and utilities, fought for more than 0 million in higher property taxes, supported another big increase in the car tax, and instituted a new tax on burglar alarms. This tax increase was especially peculiar given that crime rates in Oakland were high under Brown. In fact, when he left office the city was rated as America’s fourth most dangerous. Just last year, Brown endorsed one of the largest tax increases in California history. Now that he’s campaigning for Governor again, he is telling voters that he won’t support a tax increase unless they vote for it first. But this is the same Jerry Brown who a month after being elected Governor in 1974 said, "there’ll be no new taxes and I’ll stick to that statement.” This was a promise he broke.